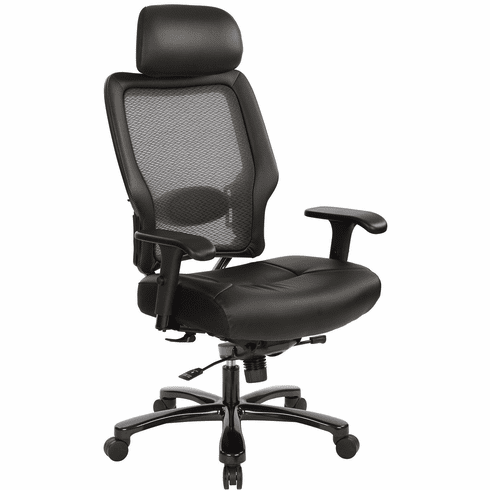 Arms to Floor Max: 28.75"
Arms to Seat Min: 5.75"
All warranties are limited to the original purchaser for normal commercial usage defined as a standard forty hour work week by persons weighing 250 lbs. or less. The 63-37A773HM, 75-7A773, 75-37A773, 75-47A773 and 839-11B35WA are for persons weighing 400 lbs. or less, the 818 & select 829’s with self-adjusting mechanism are 300 lbs. or less and the 15-37A720D is 325 lbs. or less. This warranty will not cover labor, freight or damage from misuse, abuse, negligence, alteration, accident, vandalism, rusting, acts of nature or any other event beyond the control of Office Star Products. The warranty does not cover cosmetic damage that may result from normal use. Liability for incidental or consequential damages is excluded. The user assumes all risk of injury resulting from use of this product. When usage is more than 40 hours per week, a five year warranty on all parts appelis.